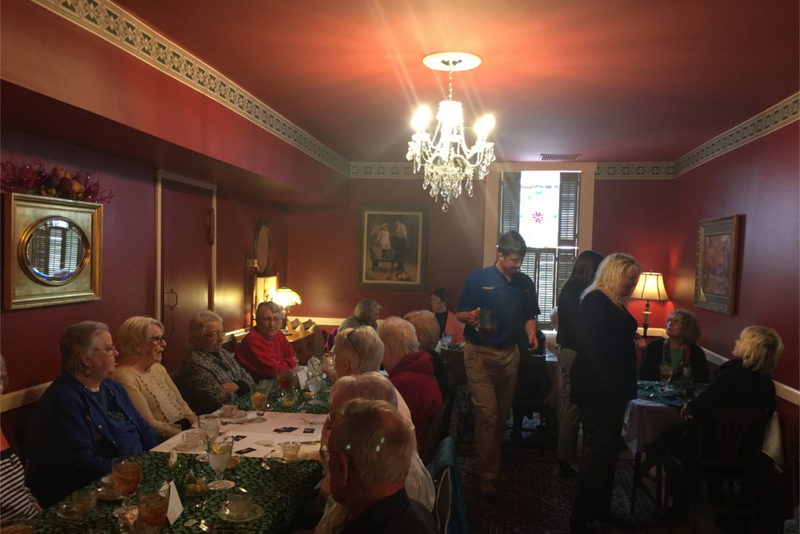 Carlisle-Nicholas County Tourism puts on the luncheons on every year as one of their main fund-raisers. Eighteen men, women and student volunteers start the day before making the meal from scratch. Various student groups come in each month to help serve the luncheons. Attendees can enjoy a four course meal including an appetizer, salad, entre and a choice of deserts. Many of the menu items have become so popular that Tourism published them in a cook book that is also for sale for $15 at the Jailer’s House at 120 West Main Street or at the Neal Welcome Center at 108 West Main Street. Attendees have come from as far away as Hawaii, and California. 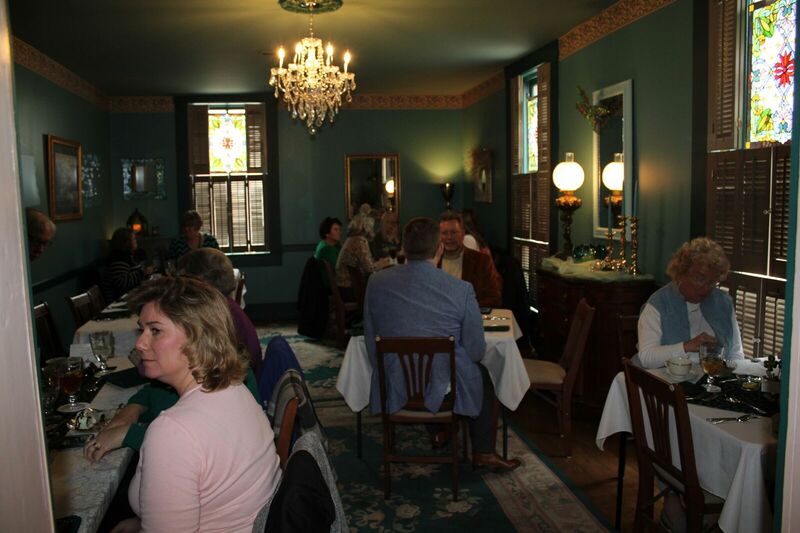 The Tourism group also puts on a special “high tea” during the holiday season, the first Saturday in December. And they add a 2nd Luncheon in December the 1st Thursday of the month. 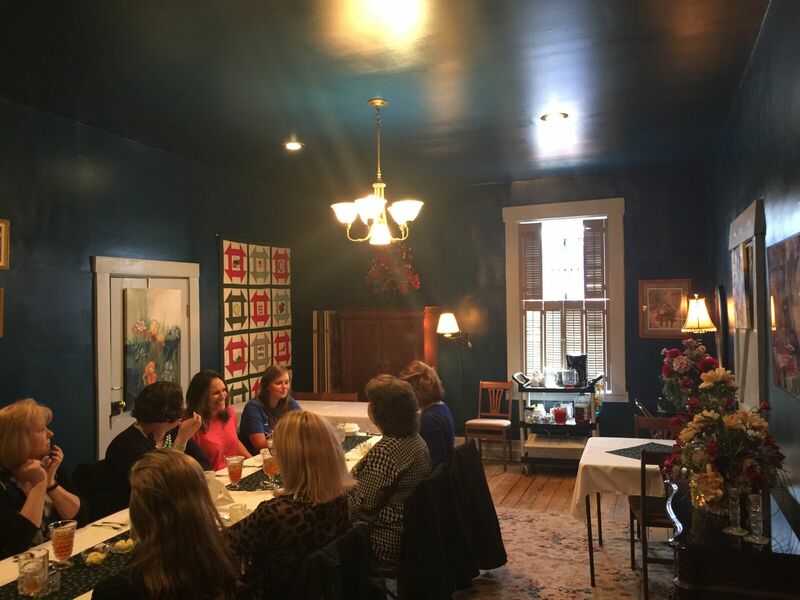 Regular Luncheon’s are the 2nd Thursday of the month at noon from March through November. They take a break over winter to avoid cancellations due to weather. Most months the luncheon’s sell out at their capacity of 75. A new “highlight” for upcoming luncheons will be dungeon tours. 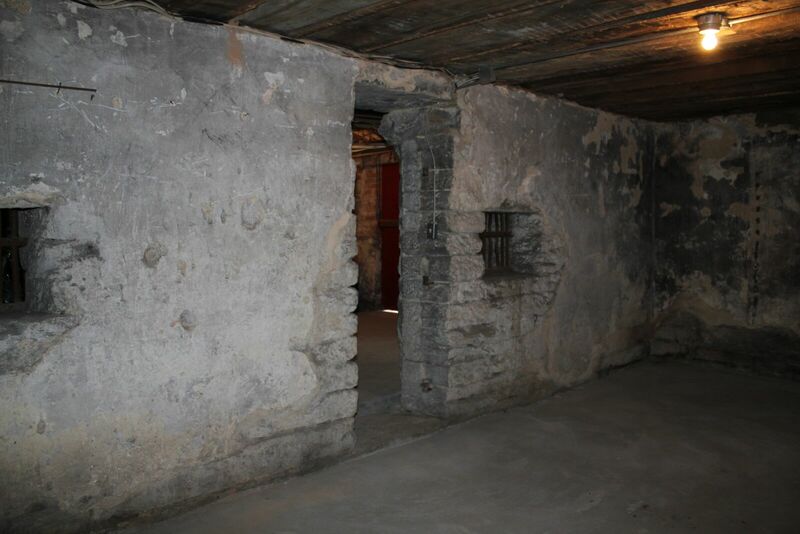 The Jailer’s home was built from 1821 to 1823 and the Dungeon in the basement started taking prisoners in 1857. Visitors can see drawings on the walls by prisoners: Marking off days in the dungeon, a Picture of a woman, and others of horses scratched in the walls. The “newer” jail was operated behind the Jailer’s Home for many years starting in 1892. Plans are in the works to make that area into an AirBnB later this year. The (3) cell blocks will feature one bed per cell with the top bunk used for luggage storage. New mattresses have been ordered and the cell block will be repainted.